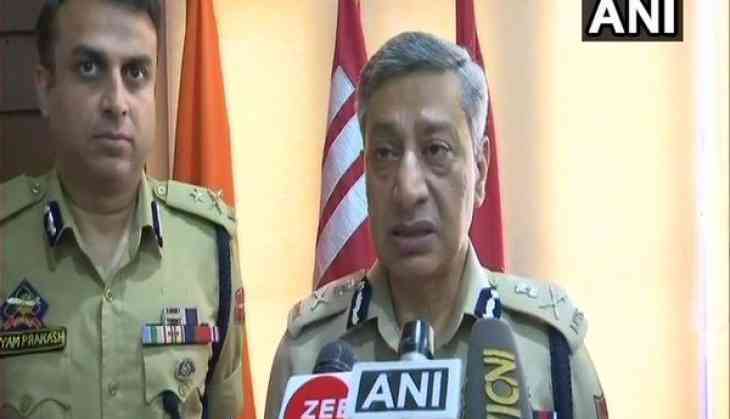 Former Jammu and Kashmir Director General of Police (DGP), S P Vaid, who was transferred from his post on Thursday, said he was exiting with "a lot of good feelings." In an exclusive interview with ANI, Vaid appealed to the Kashmiri youth to shun the path of violence and cycle of deaths in the Valley. "End the violence; end the cycle of deaths. Whatever are the differences, one should maintain peace and talk it out," he said. Recalling the challenges he faced while serving as the DGP of Jammu and Kashmir, Vaid said, "When I joined post-Burhan in 2016 things were very bad. I am glad that the situation has improved to a very large extent. I am grateful to the Almighty that I got a chance to serve my people and country. My only concern is, the youth were dying and there is unnecessary loss of human life. The sooner it ends, it will be good news for me." The senior cop also thanked his team and people of the state for their support during extreme situations. "For any police chief, the situation is very difficult. I must thank my whole team including the BSF (Border Security Force), the CRPF (Central Reserve Police Force), the Intelligence Agency and all other security forces for their support. I got a lot of love and affection from people of Jammu and Kashmir. People of the country have appreciated the role of Jammu and Kashmir," he stated. Known for his 2017 'Operation All Out', Vaid is succeeded by Director General of Police (Prisons) Dilbagh Singh and will now serve as Jammu and Kashmir's transport commissioner. The transfer of the high ranking polieman comes days after AG Mir was shunted from the post of Additional Director General of Police (ADGP) in the Criminal Investigation Department (CID). B Srinivas, a 1990 batch Indian Police Service (IPS) officer of Jammu and Kashmir cadre, replaced Mir. Earlier, there were rumours that the Union Ministry of Home Affairs (MHA) was not happy with the state police and was considering a rejig. However, the ministry denied the speculations and said, "On more than one occasion, MHA has commended the work done by J-K police and the valiant sacrifices made by the men and officers of J-K police. There is no question of any dissatisfaction." Vaid also brushed aside the buzz, saying that the state police have been fighting a proxy war for decades and any speculative reporting, which can affect the morale of the cops, should be avoided.